Does your child go through intense mood changes? Does your child have extreme behavior changes? 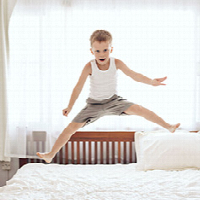 Does your child get much more excited and active than other kids his or her age? Do other people say your child is too excited or too moody? Do you notice he or she has highs and lows much more often than other children? Do these mood changes affect how your child acts at school or at home? Some children and teens with these symptoms may have bipolar disorder, a serious mental illness. This brochure will give you more information. Bipolar disorder is a serious brain illness. It is also called manic-depressive illness or manic depression. 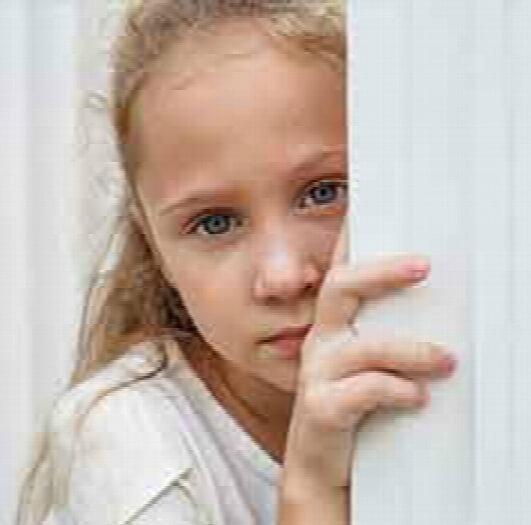 Children with bipolar disorder go through unusual mood changes. Sometimes they feel very happy or “up,” and are much more energetic and active than usual, or than other kids their age. This is called a manic episode. Sometimes children with bipolar disorder feel very sad and “down,” and are much less active than usual. This is called depression or a depressive episode. Bipolar disorder is not the same as the normal ups and downs every kid goes through. Bipolar symptoms are more powerful than that. The mood swings are more extreme and are accompanied by changes in sleep, energy level, and the ability to think clearly. Bipolar symptoms are so strong, they can make it hard for a child to do well in school or get along with friends and family members. The illness can also be dangerous. Some young people with bipolar disorder try to hurt themselves or attempt suicide. Why does someone develop bipolar disorder? Doctors do not know what causes bipolar disorder, but several things may contribute to the illness. Family genes may be one factor because bipolar disorder sometimes runs in families. However, it is important to know that just because someone in your family has bipolar disorder, it does not mean other members of the family will have it as well. Another factor that may lead to bipolar disorder is the brain structure or the brain function of the person with the disorder. Scientists are finding out more about the disorder by studying it. This research may help doctors do a better job of treating people. Also, this research may help doctors to predict whether a person will get bipolar disorder. One day, doctors may be able to prevent the illness in some people. Bipolar “mood episodes” include unusual mood changes along with unusual sleep habits, activity levels, thoughts, or behavior. In a child, these mood and activity changes must be very different from their usual behavior and from the behavior of other children. A person with bipolar disorder may have manic episodes, depressive episodes, or “mixed” episodes. A mixed episode has both manic and depressive symptoms. These mood episodes cause symptoms that last a week or two or sometimes longer. During an episode, the symptoms last every day for most of the day. Can children and teens with bipolar disorder have other problems? Substance abuse. Both adults and kids with bipolar disorder are at risk of drinking or taking drugs. Attention deficit/hyperactivity disorder (ADHD). 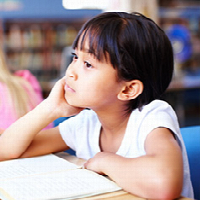 Children who have both bipolar disorder and ADHD may have trouble staying focused. Anxiety disorders, like separation anxiety. Sometimes behavior problems go along with mood episodes. Young people may take a lot of risks, such as driving too fast or spending too much money. Some young people with bipolar disorder think about suicide. Watch for any signs of suicidal thinking. Take these signs seriously and call your child’s doctor. An experienced doctor will carefully examine your child. There are no blood tests or brain scans that can diagnose bipolar disorder. Instead, the doctor will ask questions about your child’s mood and sleeping patterns. The doctor will also ask about your child’s energy and behavior. Sometimes doctors need to know about medical problems in your family, such as depression or alcoholism. The doctor may use tests to see if something other than bipolar disorder is causing your child’s symptoms. Medication. There are several types of medication that can help. Children respond to medications in different ways, so the right type of medication depends on the child. Some children may need more than one type of medication because their symptoms are so complex. Sometimes they need to try different types of medicine to see which are best for them. Children should take the fewest number of medications and the smallest doses possible to help their symptoms. A good way to remember this is “start low, go slow.” Medications can cause side effects. Always tell your child’s doctor about any problems with side effects. Do not stop giving your child medication without a doctor’s help. Stopping medication suddenly can be dangerous, and it can make bipolar symptoms worse. Therapy. 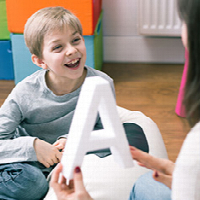 Different kinds of psychotherapy, or “talk” therapy, can help children with bipolar disorder. Therapy can help children change their behavior and manage their routines. It can also help young people get along better with family and friends. Sometimes therapy includes family members. Sometimes a child’s bipolar disorder changes. When this happens, treatment needs to change too. For example, your child may need to try a different medication. The doctor may also recommend other treatment changes. Symptoms may come back after a while, and more adjustments may be needed. Treatment can take time, but sticking with it helps many children and teens have fewer bipolar symptoms. You can help treatment be more effective. Try keeping a chart of your child’s moods, behaviors, and sleep patterns. This is called a “daily life chart” or “mood chart.” It can help you and your child understand and track the illness. A chart can also help the doctor see whether treatment is working. Help begins with the right diagnosis and treatment. If you think your child may have bipolar disorder, make an appointment with your family doctor to talk about the symptoms you notice. Encourage your child to talk, and listen to your child carefully. Be understanding about mood episodes. Help your child have fun. Help your child understand that treatment can make life better. Taking care of a child or teenager with bipolar disorder can be stressful for you, too. You have to cope with the mood swings and other problems, such as short tempers and risky activities. This can challenge any parent. Sometimes the stress can strain your relationships with other people, and you may miss work or lose free time. If you are taking care of a child with bipolar disorder, take care of yourself too. Find someone you can talk to about your feelings. Talk with the doctor about support groups for caregivers. If you keep your stress level down, you will do a better job. It might help your child get better too. If you’re not sure where to get help, call your family doctor. You can also check the phone book for mental health professionals. Hospital doctors can help in an emergency. Finally, the Substance Abuse and Mental Health Services Administration (SAMHSA) has an online tool to help you find mental health services in your area. You can find it here: https://findtreatment.samhsa.gov . I know someone who is in crisis. What do I do? If you know someone who might be thinking about hurting himself or herself or someone else, get help quickly. Call 911 or go to the emergency room. Call National Suicide Prevention Lifeline, toll-free: 1-800-273-TALK (8255). The TTY number is 1-800-799-4TTY (4889). Online Publication - U. S. Department of Health and Human Services, National Institutes of Health, National Institute of Mental Health. For more information on conditions that affect mental health, resources, and research, go to MentalHealth.gov at http://www.mentalhealth.gov , or the NIMH website at http://www.nimh.nih.gov. In addition, the National Library of Medicine’s MedlinePlus service has information on a wide variety of health topics, including conditions that affect mental health.